It’s now December, which means it’s okay to put on Christmas songs, and get your tree and decorations up. It also means that the burden and stresses of Christmas shopping are firmly upon us, and busy shopping malls await. 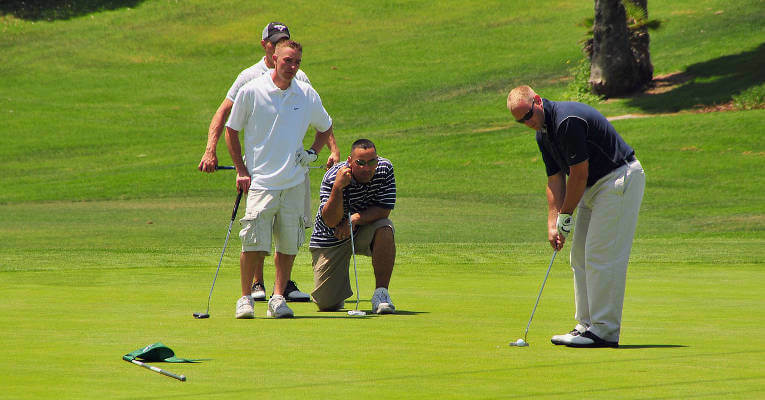 Fortunately, if your wife, husband, sibling or child is a golf nut, we come bearing gifts. Well, not the gifts themselves, but a comprehensive selection of the golf Christmas gifts we think Santa should bring to your loved one(s). There are a myriad of excellent GPS devices to choose from. 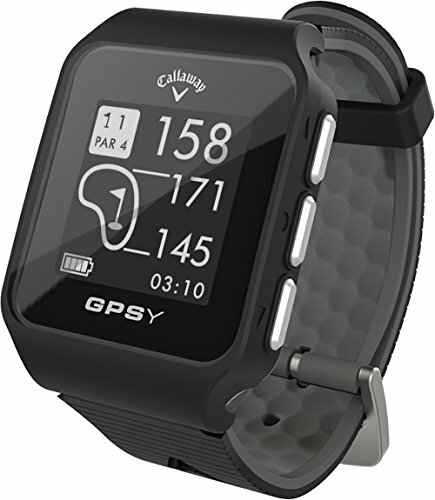 But every penny counts, and in terms of value for money, we think the Callaway GPSy Golf GPS Watch could be the one to catch the eye of golf widows. In terms of battery life (up to 12 hours in GPS mode), display, style and the number of courses preloaded (more than 30,000), this has a lot to offer, and it looks to be a steal when the price is as low as $125. They might not be the absolute best balls on the market – but they certainly aren’t the worst either. And you can’t deny that the opportunity to personalise your golf balls (with up to three lines of copy!) is pretty damn cool. And all for less than 30 bucks too! 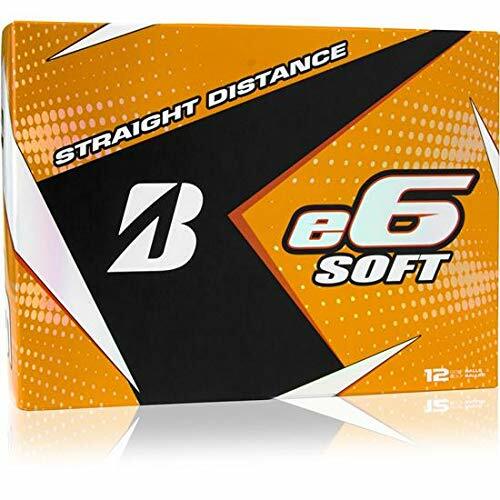 For these reasons, the Bridgestone e6 Soft Personalized Golf Balls get the nod from us. When you think Clicgear, you probably think only about their cutting-edge, streamlined push carts. Well, think again. 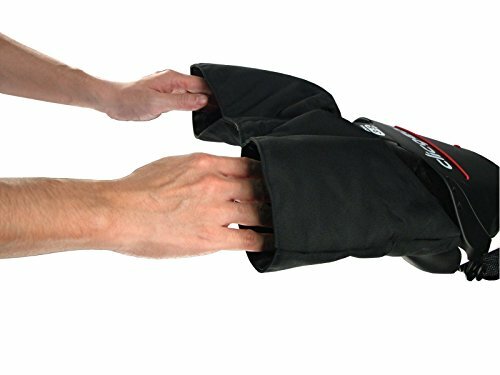 That’s because they also put their name to some fully waterproof and windproof mittens. For anyone looking to brave the cold this winter, these are a must-have – especially when you can pick up a pair for as little at $20. This one will require you to push the boat out a bit. Okay, a lot: to the tune of $300, in fact. But it’s so amazingly cool that we just couldn’t leave it off the list. The OptiShot2 works with every club in the bag, and couldn’t be easier to set up. After that, you can play any hole or course in the world, play with or against other people and improve your game – all from the comfort of home. And, hopefully, a room big enough to swing a club in! What’s Christmas without a game of beer pong? Or five? 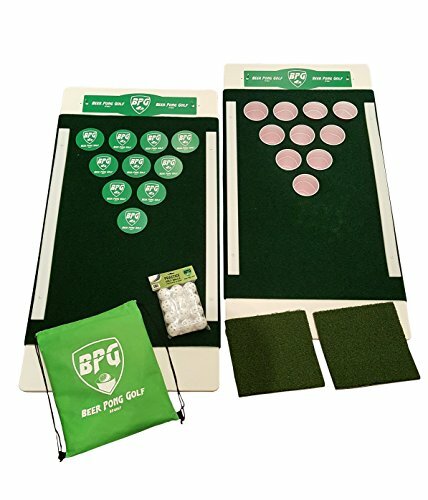 This is the golfing version, and it’s hours of fun, plus a great hub of entertainment if you’re hosting any parties over the festive season. It comes armed with chipping mats, balls and all the relevant accessories, and looks to be good value at $150. The only thing we’d say is, it’s not as easy it looks. And it doesn’t get any easier as the game goes on! 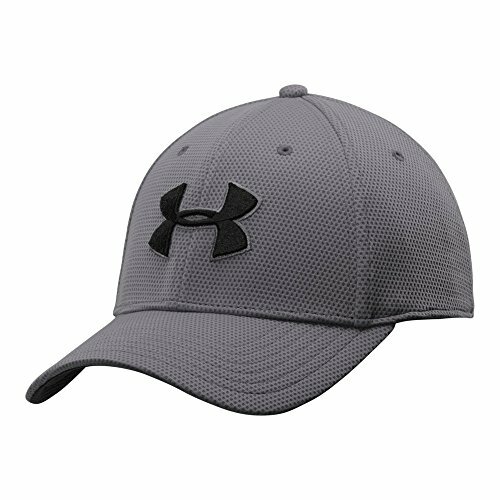 We’re not sure how much sun your hubby, dad or son is going to get over the next few months, but if you’re looking to buy a cap, you aren’t going to get many classier than this gem from Under Armour. This delivers genuine breathability, durability, comfortability, and a HeatGear sweatband to minimise and absorb sweat. The logos are pretty tidy as well, and for a competitive price (under $30), you may want in. 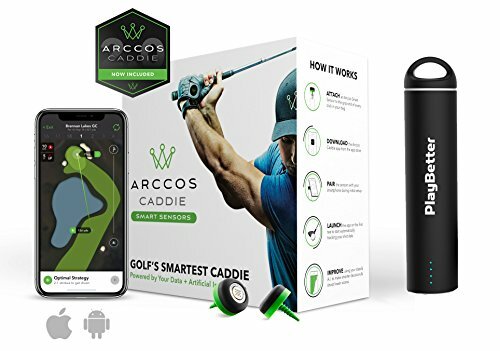 There’s some strong products out there in terms of swing analyzers, but you can’t argue with Arccos, and three successive triumphs in Golf Digest’s “Best Game Analyzer” category at the Editor’s Choice Awards. 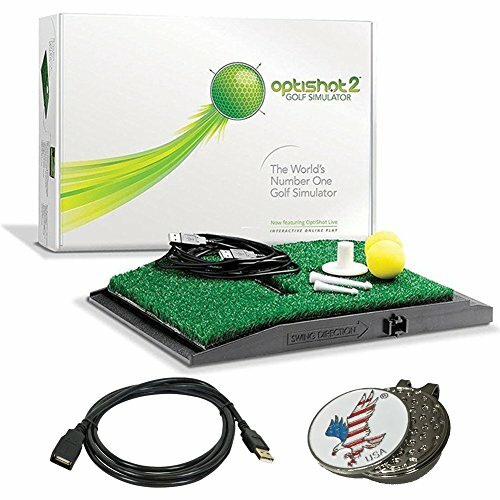 This shot-tracking system is fully automated, and provides all kinds of analytics, insights and analysis for each shot you hit. The bells and whistles are too many to list in this short paragraph, but all we’ll say is this: it’s the real deal, and totally worth the $250 price tag. There are so many awesome stand bags out there at the moment, making a single choice is pure torture. 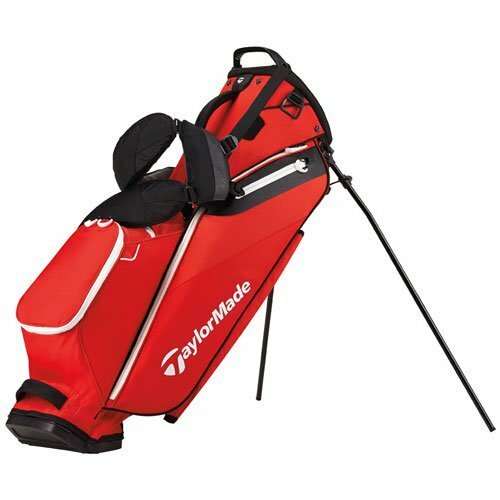 But the one that we’re most into on this given day is the Taylor Made Flextech Lite Stand Bag. It get gets an A+ for comfort, the stand system is robust and the micro-suede lining gives it a slick look. Most importantly, it’s as light as a feather, and, for $100, it represents great bang for your buck. In the thick of winter, and with mud and casual water making their presence felt, golf shoes are one area you don’t want to skimp. In terms of being durable, weatherproof and comfortable, the FootJoy Tour-S shoes are hard to beat. They’re 100% waterproof, boast a carbon fibre Heel Cup (plus Outsole Plate) and the trademark FootJoy launch pods. They’re a picture of style too, and even at 250-odd dollars, you can rest assured that this pair of shoes is a value-for-money candidate for your shopping basket. With a belly full of turkey, there is nothing better than kicking back with an excellent golf book. 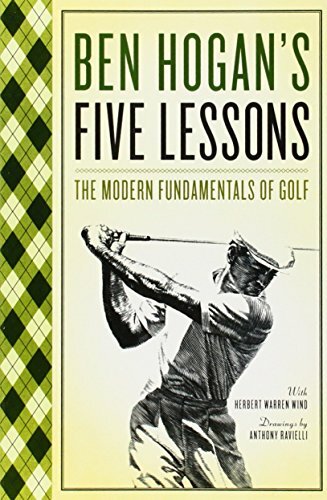 Ben Hogan’s Five Lessons may be more than 30 years old, but it’s still very much relevant today. This is a gripping insight into the genius of simplicity, and whether you’re a newbie, a budding amateur or a pro, the techniques in this book will give your golf game a new lease on life. Little wonder it’s sold nearly a million copies – this truly is an all-time classic.